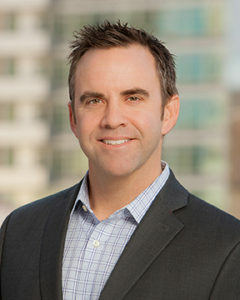 Born and raised in the San Francisco Bay Area, Matt Slakoff graduated with distinction from the University of California Santa Barbara in 1997 with a degree in Communications. Prior to joining Cavignac & Associates in 2006, Matt spent five years as a Property & Casualty Underwriter with the San Diego office of Deans and Homer, a Managing General Underwriter that has been in continuous operation since 1856. In that role he was responsible for marketing, risk analysis and claims management for a large number of retail brokerage accounts. Matt’s property and casualty underwriting background uniquely qualifies him for the design and implementation of risk management programs for clients in the real estate, development and construction industries. Matt also specializes in the analysis and placement of environmental risk.